three − = zero Required Please enter the correct value. (Kitco News) – World stock markets were mostly higher overnight. Crude oil prices are firmer today, which helped out the equities. Also, Greece's creditors approved another release of bailout money for the indebted country, which assuaged European investors. U.S. stock indexes are pointed toward slightly higher openings when the New York day session begins. Gold prices are modestly up in pre-U.S. market trading, on a technical and short-covering bounce from solid selling pressure seen earlier this week. In overnight news, Russia's central bank cut its key interest rate by 25 basis points. The Russian ruble rallied on the news. The Bank of Japan held its regular monetary policy meeting Friday and made no major changes in its policy. The Euro zone's consumer price index for May was reported down 0.1% from April and up 1.4% from a year ago. The numbers were right in line with market expectations but down from the European Central Bank's target rate of around 2.0% annual inflation. 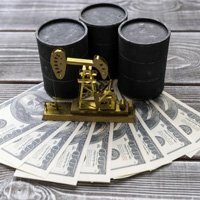 The key "outside markets" on Friday morning see Nymex crude oil futures prices firmer on short covering following selling pressure seen earlier this week. The oil market bears still have the solid overall near-term technical advantage as prices trade well below $50.00 a barrel. Meantime, the U.S. dollar index is a bit weaker today on some chart consolidation after this week's good gains. The greenback bears still hold the overall near-term technical advantage. U.S. economic data due for release Friday includes new residential construction and the University of Michigan consumer sentiment survey.